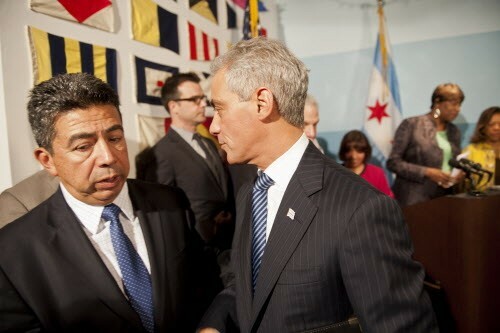 What's that Mayor Rahm's whispering to Alderman Solis? Could it be something about how to get the South Loop deal through the zoning committee? For all the energy he's exerted on his big DePaul/Marriott deal, you'd think Mayor Emanuel would be shouting its praises from the rooftops. Like he's really proud of it and wants everyone to know what he's up to. But, no, he's stealthily sneaking this baby through the City Council approval process like a thief in the night, as the great Mayor Harold Washington might put it. Over the summer, Mayor Emanuel rammed through one aspect of the deal on a voice vote—most aldermen probably still don't know what went down. 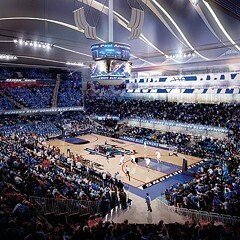 He was up to his old tricks at last Wednesday's meeting with the zoning committee for the DePaul basketball arena and the Marriott hotel—which you, the taxpayer, will pay to build on land that you will also pay to purchase. Thus that land becomes tax exempt, so your property taxes go up to compensate for the tax dollars that Marriott and DePaul won't be paying. I guess we can all figure out why the mayor might want this deal to be a secret. 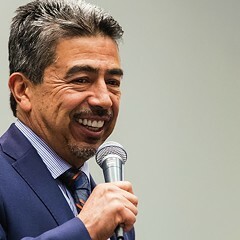 At Wednesday's meeting, the mayor was abetted by Alderman Danny Solis, chairman of the Council's zoning committee and a mayoral supporter to the nth degree. When the time came to consider matters from the zoning committee, Alderman Solis requested that the entire package of proposals be passed as an omnibus bill. Hold it! Explanation time . . . Omnibus is the Latin phrase meaning "for all." Specifically, Alderman Solis wanted the council to approve relatively small zoning-change requests on the same voice vote as big zoning-change requests that affect the whole city. For instance, the mayor's plan to build a project benefiting DePaul and Marriott using tens of millions of property tax dollars that he takes from the school children of Chicago. 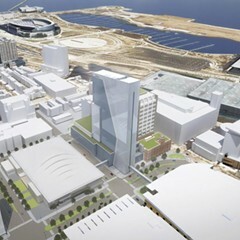 Not hearing any objections—largely because hardly any aldermen knew what was going on—the mayor slammed down the gavel and announced the zoning package had been approved. Unanimously! Without discussion or debate! 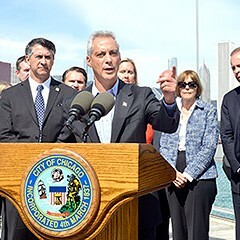 Three cheers for democracy and transparency in the age of Mayor Rahm. Unfortunately for the mayor, Alderman Scott Waguespack was paying attention. He rose from his chair to request that council rules be suspended. Hold it! Time out for another explanation . . . Suspending the rules is a parliamentary maneuver in which an alderman asks that normal council rules be—you know—suspended. Sort of like the mayor's attitude toward speeding and red-light traffic laws, which he apparently believes should be suspended when he breaks them. Oh, I know this is a tangent, but I just have to give a shout-out to Ben Bradley and the folks at Channel Seven for their recent expose about the mayor's caravan of cars shamelessly speeding through red lights all over town. The mayor's caravan has racked up something like 20 speeding or red-light tickets in the last two years. Shame, shame, shame, Mr. Mayor. My favorite part of the expose came when Bradley pointed out that "on three occasions the mayor's convoy had so many unpaid tickets, city computers flagged the vehicles for seizure." Though somehow the vehicles never got seized. My second favorite part of the Channel Seven story came when anchorman Ron Magers told Bradley: "Up until now the mayor apparently didn't notice they were running red lights. So I'm glad you pointed this out." You're a sly one, Ron Magers—you kept that straight face even as you stuck the dagger right between the mayoral ribs. Anyway, back to the council rules suspension . . .
Alderman Waguespack wanted the mayor to temporarily halt proceedings, allowing him to vote no on the South Loop zoning proposal. "It took a while for the mayor to call on me," says Waguespack. "But eventually, he did." Alderman Robert Fioretti also asked that his vote be changed to no. Not long thereafter, Alderman John Arena asked that the rules be suspended so that he too could change his vote to no. But Alderman Margaret Laurino—who was running the meeting while Mayor Emanuel was out of the room—denied his request. "Afterward, Alderman Ed Burke came to me and said I can submit a letter to the city clerk to correct the record," said Arena. So are you going to write that letter to the clerk? "Yes, you should be able to vote your conscience on these things. Though the larger issue is that on a massive issue of this importance we should have a full discussion and a roll-call vote." Amen to that, Alderman Arena.